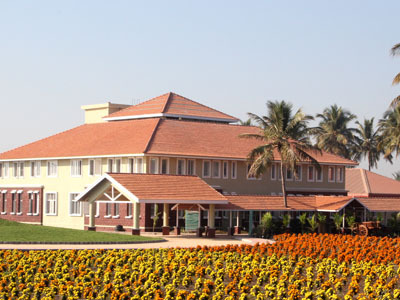 This Kendra & host institute farm is situated at 6 kilometer west of the Baramati city. This center has an area of 20 ha of land required for the technology assessment &demonstration while 24 ha belong to host institute. From this total 44 ha land, the total land under cultivation &demonstration is 30.03 ha, Dairy 1.6 ha, Nursery 1.4 ha, Poly house 0.40 ha, KVK & host institute Buildings has occupied 3.4 ha, Well & water storage tanks 2.4 ha & Roads 4.77 ha of land. The demonstration farm is used for the on farm testing of new technologies. It is also used for the genesis of the good quality seed and seedlings. New facility we are having are 1. Administrative Building 2. Agricultural Technology Information centre (ATIC). 3. Conference Hall 4. Audio Visual Training hall, 5. Demonstration plots 6. Hi-tech green house poly house 7. Plant health clinics & Bio-control laboratory 8. Soil, water, leaf & pitiol testing laboratory 9. Grading and packing unit 10. Apiary unit 11. Water storage tank with solar motor 12. Automated fertigation unit 13. Farmers hostel 14. Loose housing Dairy farm 15. Poultry Hatchery 16. Goat & Sheep unit 17. Silage demonstration unit 18. Integrated Fish & poultry unit 19. Fish Hatchery 20. Agri & Echo tourism 21. 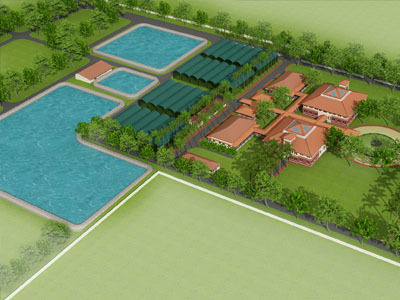 Indo-Dutch project for hi-tech farming 22. Hydro phonic unit 23. Nursery 24. Wind solar hybrid system for electricity generation 22. Farmers visit planning. New Facilities of our KVK are inaugurated by Hon. 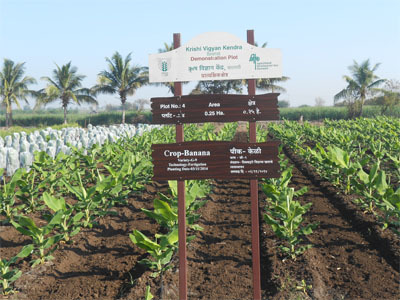 President of India and The Centre of Excellence for Vegetables; An Indo-Dutch project is inaugurated by Hon. Prime Minister of India during past year. In this project in addition to training and demonstration we are providing disease free quality planting materials to farmers. In addition to this Bee Connect: A project in collaboration with ICAR, New Delhi & Crop Life India for the Awareness in farming community for Honey bee & pollinators through the mobile app Madhu Sandesh is also implemented by KVK, to make them aware regarding safer use of Pesticides.